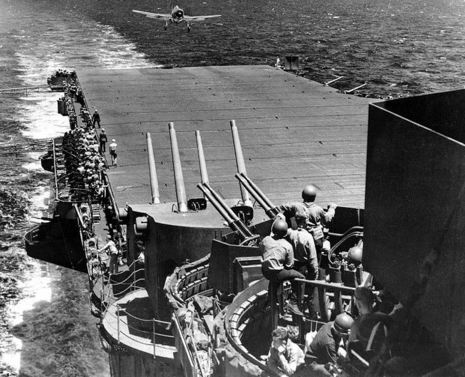 The Battle of the Philippine Sea (aka "The Great Marianas Turkey Shoot") was a decisive naval battle of World War II, and the largest aircraft carrier battle in history. It was fought between the navies of the United States and the Empire of Japan. 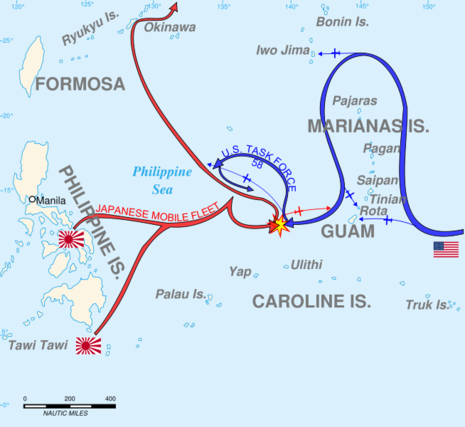 Part of the wider Pacific War, this action occurred on June 19–20, 1944 off the Mariana Islands and also involved Japanese land-based aircraft. 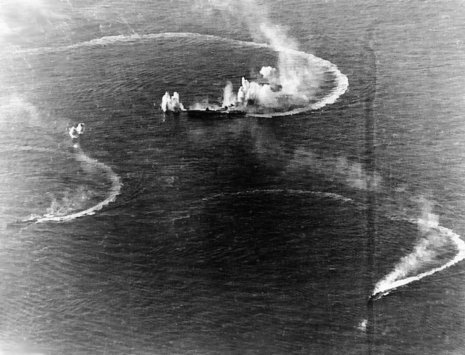 The engagement proved disastrous for the Imperial Japanese Navy, which lost three aircraft carriers and some 600 aircraft, termed by Americans the Great Marianas Turkey Shoot. 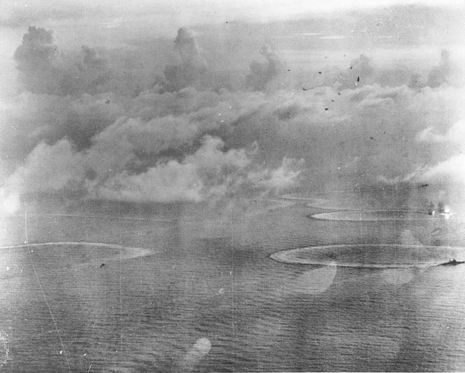 These losses are largely attributed to the obsolescence of the Japanese aircraft and the inexperience of the Japanese carrier aircrew—many experienced pilots had died during the Guadalcanal campaign, Midway, and other engagements)—in contrast to the U.S. Navy's more modern Grumman F6F Hellcat fighter, its better-trained and more experienced airmen, and its radar-directed combat air patrols. 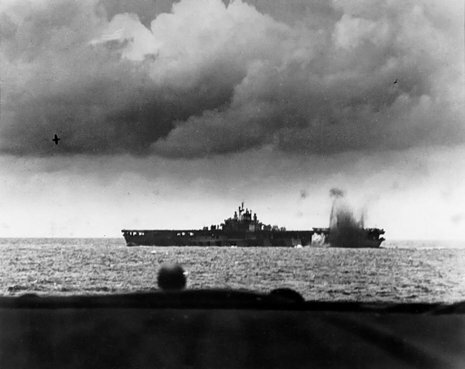 B Force had two carriers and one light carrier in it and had 135 planes in it. C Force had three light carriers in it and had 88 aircraft in it. C Force was kept 100 miles from the other two forces, in the hope that the Americans would concentrate their resources on this force as a large number of ships were attached to it including four battleships and five cruisers. 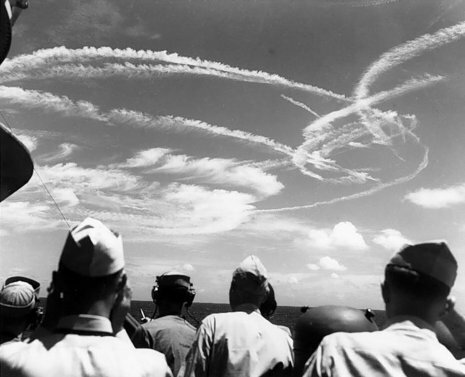 In this way, Ozama hoped that the carriers in A and B would not be the main target of America.